Nokia has confirmed that the Nokia Lumia 800 battery update is now complete with the finaly update fixing the problem, the company has also promised further updates which will help fix underlying camera and audio problems. The confirmation was given after mobiletechworld.com raised some concerns with Nokia over problems with camera settings and quality in low-light. This then prompted a response from the Finnish company who have confirmed that those issues will be fixed in a future update. With Apple's iOS 5.0.1 update largely failing to rectify its handset crippling battery drain issues Nokia will be hoping for more success now that the full batch of updates have been released. The first in what is likely to be a long line of Nokia branded Widows Phone 7 devices the Lumia 800 has been widely well received with its sleek, curvaceous injection moulded polycarbonate shell modelled largely on the MeeGo powered Nokia N9. 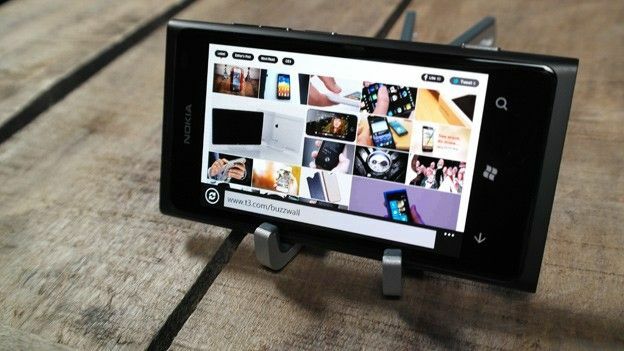 Available in black, cyan and magenta colour forms the Nokia Lumia 800 boasts a 3.7-inch AMOLED Clear Black display with a 1GHz single-core processor and 512MB of RAM landing alongside an 8-megapixel rear-mounted camera with Carl Zeiss lens and 720p HD video recording capabilities. What do you make of the Nokia Lumia 800; can it take the Windows Phone 7 platform to its deserved heights? Let us know what you think via the comments box below. Thinking of joining the Windows Phone 7 bandwagon? Find out how it fared againt the iPhone 4S in our Nokia Lumia 800 VS iPhone 4S smartphone showdown video.